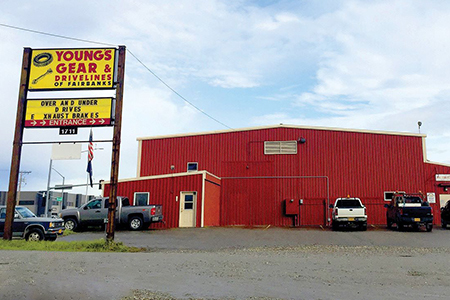 Young’s Gear Denali Drivelines, Inc. has been in business since 1977, serving vehicles throughout Fairbanks, AK and surrounding areas. We specialize in rebuilding differentials, transmissions, transfer cases, custom U-bolts, drive shafts and so much more! We’re your first and best choice for all heavy and light duty vehicle repairs. Not just any auto repair shop can handle delicate transmission work or complex differential service. In fact, service and repair for these critical automotive systems should only be handled by a qualified transmission repair shop in Fairbanks, AK! If you find yourself in need of specialty service, turn to the experts at Young’s Gear Denali Drivelines, Inc. for reliable results that are guaranteed. From your transmission to your driveline and work on any other undercarriage system, we’re the area’s leading resource for best-in-class service. With more than a century of expertise on our staff and a full-service machine shop behind us, we welcome vehicles of all types for service. 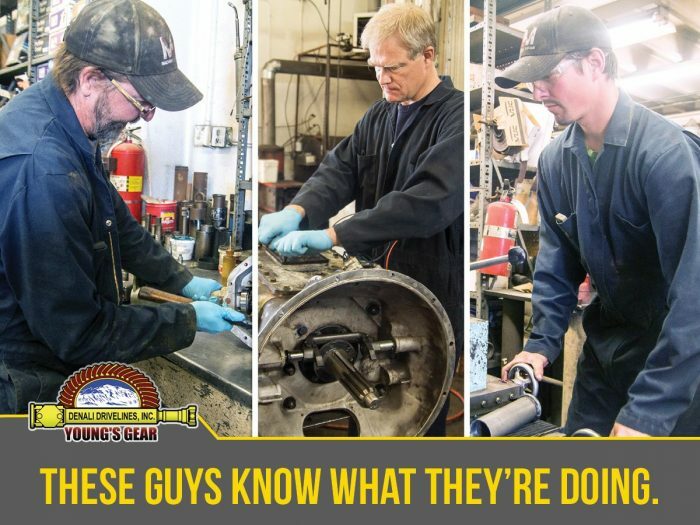 While we pride ourselves on delivering some of the best driveline and transmission repairs in Fairbanks, AK, we also aim to be your destination for specialty services, as well as a full scope of replacement parts. Turn to our team for custom U-bolts with a one-day turnaround, as well as a full inventory of parts such as exhaust brakes, differential parts, bearings and seals, steering parts and much, much more—all from reputable manufacturers. Whether you’re doing the repairs or you’re bringing your vehicle to us in confidence, trust in our ability to solve your transmission and driveline issues, regardless of what the solution is. Our shop has stood for more than 40 years and is staffed by talented professionals with more than a century of combined experience! Most of our products and services are available with a 12-month warranty, ensuring you get the best value and peace of mind in choosing us. We’re certified by ORCA, a U.S. contractor registrar that allows us to work closely with U.S. government agencies. We use only the highest quality parts from trusted manufacturers, ensuring the repairs we deliver are of the highest caliber. We service and repair heavy and light duty vehicles and equipment, even vehicles as large as 18-wheelers! For best-in-class work on your vehicle’s transmission, differential or transfer case, come to us! We’ve even got the parts and equipment if you want to do it yourself. Young’s Gear Denali Drivelines, Inc is dedicated to the best under vehicle auto repair in Fairbanks AK! Call or stop by today to get your auto repairs done!